Your company equipment works just as hard as your employees do. How do you know you’re your equipment is being used for just the jobs you’ve assigned? An employee might think there’s no harm in borrowing specialized equipment or a vehicle like a skid steer or van for a personal job over the weekend. Worse, an unscrupulous employee might use your fleet vehicles to perform work for personal profit. Sadly, thieves might target your worksite for equipment or parts. All three scenarios cost your company money and might leave you liable for damages. How do you manage this risk? Fleet and asset tracking can help ensure that equipment stays at the assigned worksite. Using telematics, you can create geofences, or virtual boundaries, that determine the equipment worksite location. You don’t have to watch a map to see when the equipment leaves that boundary. 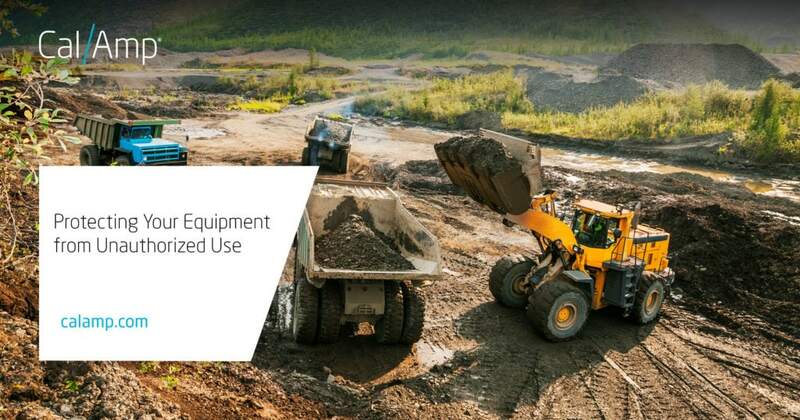 Telematics reporting software, like AssetOutlook™, can send alert notifications when a vehicle or piece of equipment exits the geofence boundary area. That same telematics solution can help you understand the hours that the equipment is in use, how often it moves within the worksite boundaries, and when any power take off (PTO) devices are engaged. Telematics can help protect your fleet vehicles from misuse, too. Companies have long used GPS tracking to know where their drivers and employees travel during a workday. A telematics solution can show you when a fleet vehicle arrived at a client site and how long it remained in that position. This information helps you manage employee time, answer client questions about service call durations, and identify unplanned stops. A breadcrumb navigation shows you the route each vehicle took and the stops each vehicle made. How does this help you know if an employee is using your fleet vehicle for side jobs? No one wants to spend all day watching a map during the workday, much less on the weekend. This is where alerts are useful. If you receive an alert that a vehicle moves at an unusual time, you know to follow up with the driver. It is also a safety measure if an asset stays too long given the task being performed, which could indicate that something is wrong. What about securing your equipment during off hours? Worksite managers can take many steps to protect the equipment at a jobsite. Your telematics solution can alert you when the ignition is turned on or the equipment moves during off-work hours. Using AssetOutlook’s Esri mapping tool, you are able to pinpoint equipment individually, by type and by location. The LoJack® Stolen Asset Recovery System can help further protect business equipment from loss due to theft. Liability and risk management are very important considerations, here too. Who is responsible for damage to private property when your equipment is involved? What if it is your employee operating the equipment without your knowledge? Could your company’s reputation suffer if an employee is using your equipment on side jobs? A customer might not know an employee is working as a private individual using your company equipment, especially if a branded fleet vehicle is onsite. Your vehicles and equipment represent a large capital outlay for your company. A telematics solution is a worthwhile investment that helps you protect and better manage those important assets. If you would like more information on the solutions discussed in this blog, please visit calamp.com/solutions/construction.